With Thursday night only having two games to entertain us, the Thursday night recap isn’t going to take that long. Don’t worry about a lack of opportunities to look back though because there are plenty of great reasons to look forward as the NBA has a bumper card on Friday night. The Bulls welcomed the Thunder to Chicago and the home side managed to win a rather tight game. The final score was 108-105 in favour of the Bulls, halting the good run and form that the Oklahoma City Thunder had been showing of late. The other score was much more straightforward, with the Portland Trail Blazers comprehensively dealing with the Dallas Mavericks by a score of 94-75. There was a lot of talk that George Karl was going to be on his way to the Orlando Magic but instead, Karl has found himself as the third Kings coach of the season. James Borrego got the job in Orlando and both of the relatively new coaches will be looking for a greater deal of consistency from their new teams. The Kings have a 21-38 record which includes an 8-19 record away from home. The most recent game the Kings plated was Wednesday and they lost in San Antonio with the Spurs running out 112-85 winners. In their last 10 games, the Kings have a 4-6 record. The Magic also have a 4-6 record in their last 10 games and they have lost their last 4 games in a row, including a Wednesday night 100-105 loss at home to the Suns. The Magic have a 19-43 record for the season so far, and this includes a 9-21 record at home. The Kings have a big advantage with respect to average points scored, 100.3 to 95.4 while the Magic have a minor advantage for average points allowed, 101.1 to 104.3. The Kings have doubts over Darren Collison and DeMarcus Cousins while Orlando has a bigger injury list. Tobias Harris and Luke Ridnour are being monitored regularly while Aaron Gordon, Evan Fourinier and Devyn Marble are major doubts. 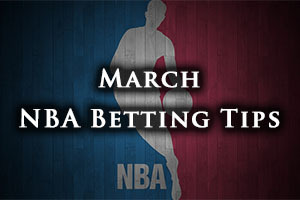 This has the potential to be a very tight affair between two teams that are low on confidence but the Kings with a -1 handicap and odds of 1.90 is likely to be a sound bet. Bet Now! Brandon Knight has performed well since pitching up in Phoenix in February and even though he has already gone through a minor shooting blip, he looks to be back on track again. He will be a crucial player if the Suns are looking to push their play-off hopes while also looking to cause some damage to the hopes of the Nets. The Suns hold a 32-30 record so far this campaign and this includes a road record of 15-17. The team won their most recent game, a Wednesday night win in Orlando against the Magic, triumphing by a score of 100-105. The Suns have a 3-7 record in their last 10 outings. The Nets have a slightly better record in their last 10 games, holding a 4-6 record and their most recent game was a Wednesday night loss at home to the Charlotte Hornets, losing out by 91-115. The Nets hold a 25-34 record this campaign and this includes an 11-16 record at home. With respect to average points scored, the Suns have a big advantage, 105.6 to 96.4 while for average points allowed, the Nets have a big advantage, 99.7 to 105.1. Mirza Teletovic is a big concern for the Nets but apart from that, the two squads appear to be in fine shape. This is a game that is genuinely up for grabs but taking the Nets with a +2.5 handicap, at odds of 1.90, should be a sound bet for a Friday. Bet Now! The Hawks are the team that are tearing it up and blowing away their opponents but the Cavaliers are the team that the bookmakers are backing to win the Championship. A lot of this is obviously down to the LeBron factor and the amount of money that is being put on his side but the Hawks will be looking to show how serious contenders they are in this game. The Cavaliers hold a 39-42 record in the season so far which includes a 16-15 record on the road. The Cavs most recent game was a Wednesday night win in Toronto, finishing up by a score of 120-112. The Cavs currently hold a 7-3 record in their last 10 games. The Hawks also hold a 7-3 record in their last 10 games, with 5 wins in a row. Their most recent triumph came on Tuesday with a 104-96 record against the Rockets. The Hawks hold a 48-12 record so far this season with a 28-4 record at home. For average points scored, the Cavs have a minor advantage, 102.8 to 102.6 while for average points allowed, the Hawks hold the lead, 96.4 to 98.7. Kyrie Irving is a doubt for the Cavs while Kevin Love is being closely monitored. For the Hawks, Jeff Teague, Al Horford, DeMarre Carroll and Pero Antic are being closely monitored. This game could be won by either side if their key players turn up so it is difficult to call. The Cavs know that they will send out a massive signal by winning this game but equally, the Hawks have the chance to do this as well. Taking the Hawks with a +1.5 handicap, at odds of 1.90, is likely to be a great way to ensure that your interest in this game lasts until the final buzzer. Bet Now!